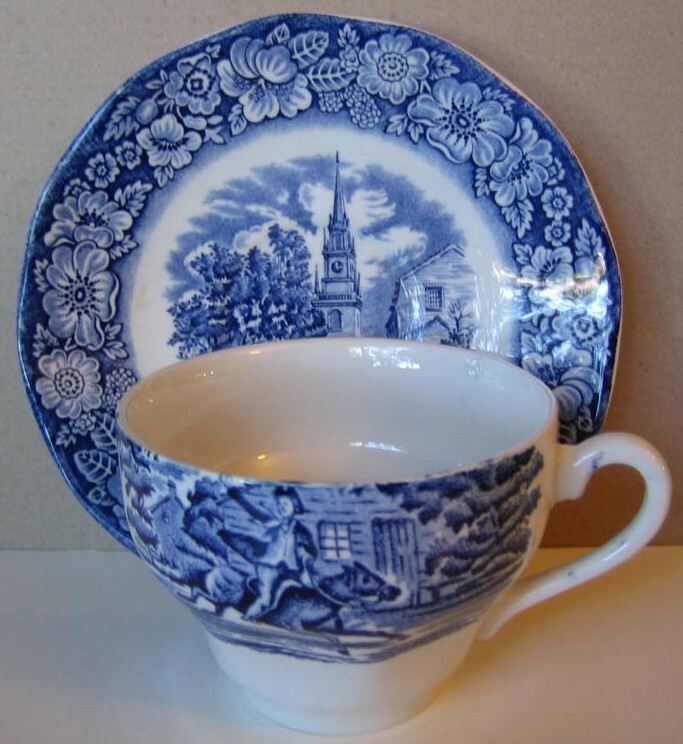 Click the button below to add the Cobalt Blue Toile Transferware Paul Revere Cup and Saucer to your wish list. 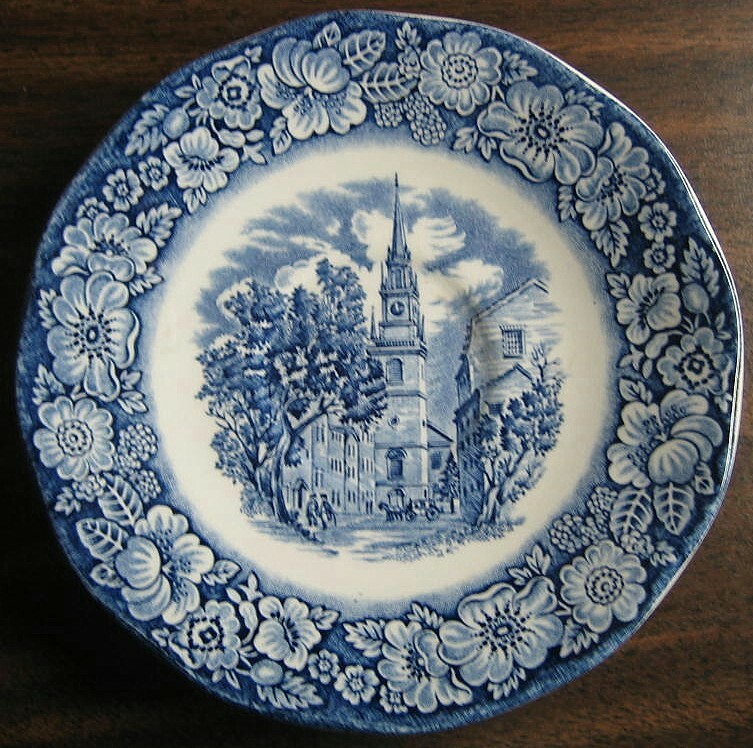 Blue on white decorative cup and saucer with a charming colonial scene. Decorative cup and saucer in cobalt blue on white.